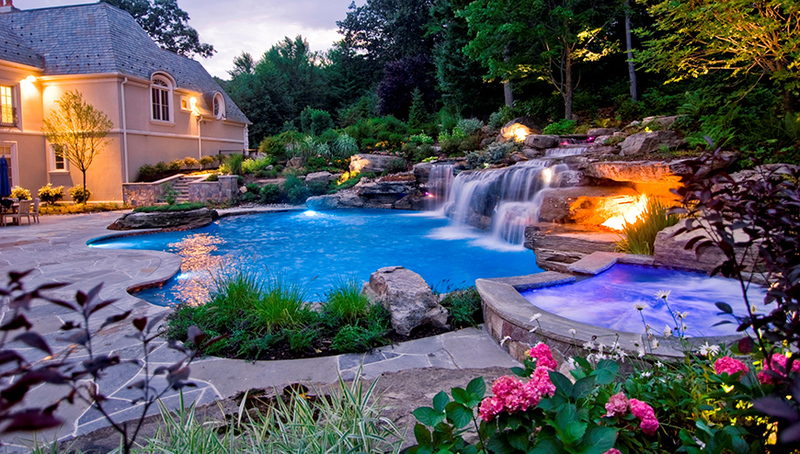 Pools | Spas Lighting, Mechanical Service, Wiring, Cleveland, Akron, Oh. Today’s families want to get more out of their homes than ever before. Such lifestyle enhancements as in-ground or above-ground pools, spas and hot tubs offer comfort, relaxation, recreation and aesthetic value. Built-in ponds, fountains and other water features also draw attention and add enjoyment. At Milano Electric, we provide not only the mechanical service—installation of pumps, filters, and electric covers—but the surrounding lighting as well. We’ll also wire and install aerators to keep still water moving in your fountains or ponds and algae content down. If you have an existing water feature, we’ll install or upgrade lighting that will increase the aesthetics and improve its utilization. We also offer regular maintenance service on the lighting and other electrical components.